Elder abuse is one of the most seldom talked about forms of criminal abuse that exists today, mainly because it often goes undetected. We hear stories of child abuse, spousal abuse, and even animal abuse far more than we hear about elder abuse, in part because it is one of the most difficult forms of abuse to spot. Just as the other forms of abuse mentioned above are certainly all heinous acts, elder abuse is one of the most repugnant criminal acts that continues to be a widespread problem all over the world. It is also one of the easiest crimes for heartless and cowardly individuals to get away with because of the fragile and often mentally impaired state the victims are generally in. 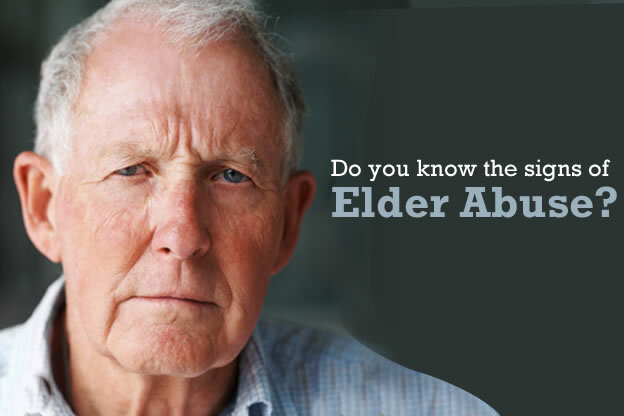 Moreover, elder abuse can affect anyone. You might have elderly parents who could be enduring abuse without you even knowing it, or you could someday find yourself a victim of elder abuse in your old age. Here are some warning signs and symptoms to look out for to make sure one of your loved ones is not being abused, neglected, or taken advantage of due to their old age. When an elderly individual is undergoing a traumatically abusive relationship with someone they have regular contact with, they will generally begin to show signs of social withdrawal and paranoia. They will constantly have their guard up, and desperately search for any reason they can find not to trust someone, or take someone else’s suggestions. They will always be on the fence about whether or not they are being lied to, or if everyone is out to get them. This behavior is developed as a defense mechanism after a traumatic experience takes place where a vulnerable person is abused or otherwise taken advantage of by someone who they thought they could trust. It could be a signal of financial abuse, verbal/emotional abuse, or even physical abuse, so this type of reclusive and guarded behavior should not be ignored if you notice one of your loved ones is exhibiting these behavioral patterns that were not previously present. If an elderly person is being verbally abused by someone, it is very common to see them begin to mimic the abusers personality in the way that they speak or certain words that they use without even being aware that they are doing so. If your mother used to be the person you could always rely on to make you laugh or cheer you up when you were feeling down, but has started to become rude or indignant when you try to have a conversation with her, they may be responding to verbal abuse that they have been dealing with recently. You may notice certain key phrases or words that you know someone else close to them uses, and that may lead you directly to the culprit. Don’t ignore the small things; just because it doesn’t seem like a big deal that your elderly mother just recited the same hackneyed phrase or word you always hear your deadbeat brother muttering, it might be time to take a closer look at why that has recently become part of her vernacular. For reasons that are hard for many people to understand, it is extremely difficult to get an elderly relative to tell the truth about the abuse they are facing, especially if that abuse is at the hand of one of their own children or someone else whom they have been close to for a very long time. When any form of elder abuse is taking place between a mother or father and son or daughter, more often than not the senior facing the abuse will allow the abuser to convince him/her that they are deserving of the abuse and it is their fault. The abuser may use the fact that their mother is in need of help against her in order to get money or assets from her, and intentionally make her feel like a burden to the world. If financial abuse is taking place between an elderly parent and one of his or her children, often times the abuser will do their very best to convince their parent that they absolutely need them, and say that without them the parent would have no one. The abuser does this in order to foster a codependent relationship with the victim, and if successful, this makes the victim want to protect the abuser and do or say anything to keep the abuse they are enduring a secret. This type of forced codependency can often be driven by greed and labeled as financial abuse, but can also be driven by underlying emotional or psychological disturbances of the abusers themselves and strictly be emotional/verbal abuse that is occurring for no other reason than someone seeing an opportunity to take their problems out on an easy and defenseless target. Some consistent, telltale signs of these types of abusive and forcibly codependent relationships are very easy to spot. If you notice your loved one receiving a sudden and unexplained influx in phone calls, emails, or visits with any particular individual, that is a big red flag. If you notice that during your visits with your elderly mother that she can’t go five minutes without receiving a phone call from the same person, yet another big red flag. Find out who is behind the harassing communications, and if it is someone you know such as another family member (which it often is in cases of elder abuse), give them a call and offer to take them to lunch or get a coffee and catch up. This is a good way to take their temperature and see if anything unusual stands out to you, such as a recent debt or divorce or run in with the law. If there is turmoil in that person’s life and they seem like they could be struggling financially or emotionally, that might be why they recently took a sudden interest in circling over your elderly loved one. As people age, change is to be expected, but it is important to be able to spot the difference between a biological change that occurs in someone you care about and a change brought about by an outside influence. If your mother once was an optimist who was always able to see the positive side of things, and recently has changed her tone and has a more pessimistic outlook on life accompanied by a sense of hopelessness, this could be a sign of abuse. Although facing the thought of one’s own mortality is something that by itself can have a negative impact on an otherwise cheerful demeanor, different types of elder abuse may also be contributing to this sudden change in your loved ones outlook on life. If they are being made to feel like a burden by their children or caretakers simply because they now are in need of help, or being verbally abused by someone who has frequent contact with them, it is understandably hard for them to remain positive and upbeat. If you notice that these changes are taking place, look closely at the people who have recently been communicating or spending time with your loved one. It may be one of them who are to blame for your elderly parent’s recent attitude shift. Often times when suffering through an abusive situation, elderly people will start to care less and less about the things they used to care about. Especially if financial abuse is involved, elderly victims will stop doing things for themselves and start letting everything go. Basic things like regular upkeep of their home, getting their hair done, buying things they used to buy on a regular basis, and doing the same things they used to do can all suffer as a result of financial abuse causing them to not have enough money to support and take care of themselves the way they used to. As silly as it may sound, something as simple as switching from name brand to generic food products when grocery shopping without having a reasonable explanation can be a sign of financial abuse. It is important to remember, when it comes to financial abuse of a senior, it is not always an ongoing exchange of money. In some cases, the abuser will not want to have a paper trail that could lead back to them, and will focus his or her attention on assuring that they will profit as much as possible when the victim eventually passes away by way of inheriting their assets. It can reach a point of such severity that the elderly victim is being scolded about spending money because the abuser is worried about it cutting into their inheritance. Sometimes an elder abuser with financial interests will try to tell the elderly victim that he or she is wasting money on certain things, and insist that they spend less and settle for lower quality products and services such as groceries or doctors. The last thing an abuser like this wants to see is their victim spending an extra $100 a month for organic food, regardless of the health benefits it may have for them. If you notice that your elderly loved one has changed their spending habits for no apparent reason, or has stopped doing things or caring about things that they used to, that is a sign that they may be falling victim to financial and verbal abuse. When someone is taking advantage of or abusing an elderly person, they know what they are doing is despicable and grotesque and the last thing they want to happen is for their behavior to be exposed. One thing they will often try to do in order to guard themselves against concerned family members or friends finding out the truth is to pollute the victims mind with thoughts that others cannot be trusted and should not be part of their life. This isolation technique allows the abuser to continue doing what they are doing without having to worry about others interfering and trying to stop them. This sometimes has a similar effect on the victim as Stockholm syndrome, and causes them to eventually start believing that their abuser is their only friend and that other people’s criticisms of him or her are wrong. This is exactly what an elder abuser wants to see happen. If you notice your elderly loved one beginning to become reclusive or significantly reduce contact with you or with others, it could be a sign that someone is convincing them to so their abuse can continue to fly under the radar and remain undetected. If you come from a large family and have multiple siblings, you probably have at least one that you rarely see or hear from unless they want or need something. Or maybe they chose to distance themselves from the rest of the family for their own reasons, and are seldom present at family gatherings. If your family has one (or more) of these types, chances are he or she will resurface when your parents get older and near the end of their life. If you notice that your elderly loved one has started to spend a lot of time with someone that never spent a lot of time with them in the past, or frequently talking to someone on the phone that they did not used to talk to that often, keep a watchful eye on the situation and the parties involved. For example, if your sister never spent much time with your parents, but now she is spending every day with your 85 year old mother, she might not have the purest intentions. This is especially true if you have noticed other warning signs of elder abuse within the same time frame. If the signs of abuse correlate with the date the person in question made a sudden reappearance in your elderly loved one’s life, they may be at the root of the problem. Even though they may not have any morally corrupt ulterior motives, it’s best to make sure what their true intent is before ruling them out. If one of your elderly loved ones is beginning to exhibit sings of secretive and/or misleading behavior, this should not be taken lightly. If they are hiding things they never used to hide and telling more lies than ever before, rather than allowing it to frustrate you, take action and ask them about it up front. Let them know that you have noticed these recent changes and that you are concerned about them and want to understand why they are taking place. Sometimes, as much as it hurts, you have to be the bad guy. If you are an active caretaker of your elderly parent and have a very close relationship with them, it is extremely difficult to be forced to assume the same role of guardian as they once did for you. If you suspect abuse however, and being nice and polite about it just isn’t working, you need to be straight with them and tell them if they aren’t willing to stand up for themselves you are going to have to do it for them. Challenge their secrecy by asking them if they mind if you take a look at their phone, computer, or tablet that they use for communicating with the suspected abuser. If they call your bluff and you see nothing to be concerned about, great. But if you find something that confirms your suspicions, you must confront your loved one and speak to someone else such as a trusted family member or friend about how to keep the abuse from continuing. As we age, we become less able to maintain a detailed lie due to memory problems. 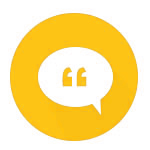 If you suspect your loved one is lying to cover up a potentially harmful truth, have an in depth conversation with them about it and ask a lot of detailed questions. If your suspicions are correct, it won’t take long for you to be able to point out at least one inconsistency that shoots a big hole in the entire web of lies and forces them to be confronted with the truth. If none of the above works, contacting a professional may be the best next step depending on the severity of the situation. Physical abuse in elderly people is not as common as verbal or financial abuse is, but it does happen and far too often it goes undetected. If you notice that your elderly loved one has been having bruises, scratches, or other minor injuries that they have trouble explaining, this could be a sign of physical abuse. Keep in mind that as we age, our bodies become more fragile and are far more prone to bruises and abrasions, so those are not always indicative of physical abuse. That said, if you see your loved one with bruises or scratches all over their body on a regular basis, finding the cause is crucial in order to ensure the safety of your loved one. Something else you might notice if your loved one is being physically abused is being very in a frightened state whenever you see them. They may have knee-jerk reactions such as cowering down or shielding their face if you reach out to hug them, or scream whenever they hear a noise. Physical abuse of an elderly person is serious and if you suspect one of your loved ones could be a victim, it may be best to contact the authorities and not try to solve the problem yourself.